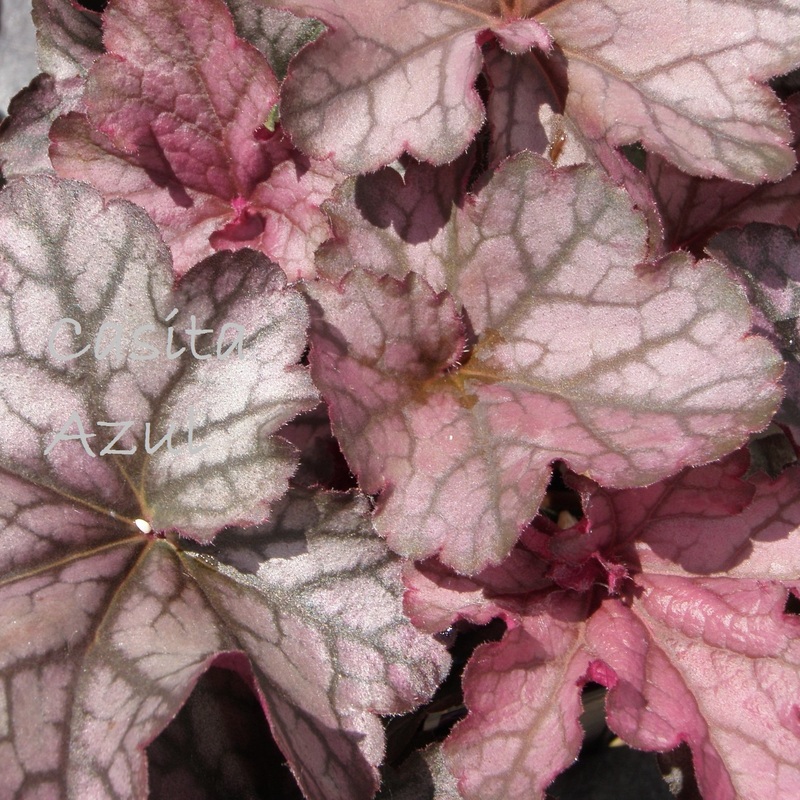 Heuchera 'Heureka Season's King' comes from a series of new compact coral bells that exhibit exciting colors on dense short plants. 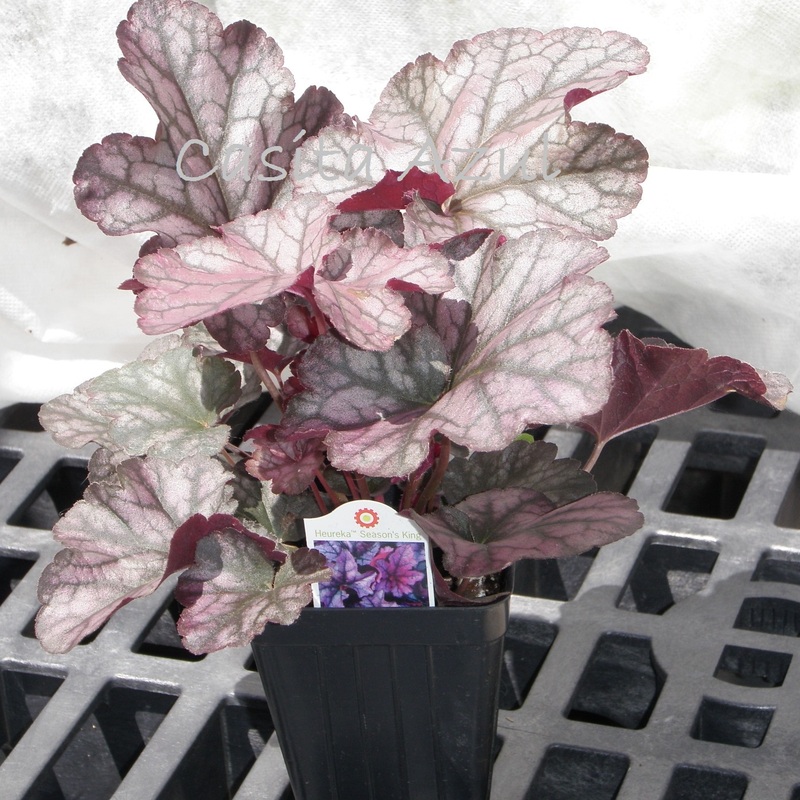 These strong growers look as great in a container as they do in the garden. Mauve-pink leaves with dark, almost black veins. The wavy margins sometimes give you a glimpse of the maroon-rose undersides of the foliage. It is nearly a miniature version of 'Spellbound'. PPAF.